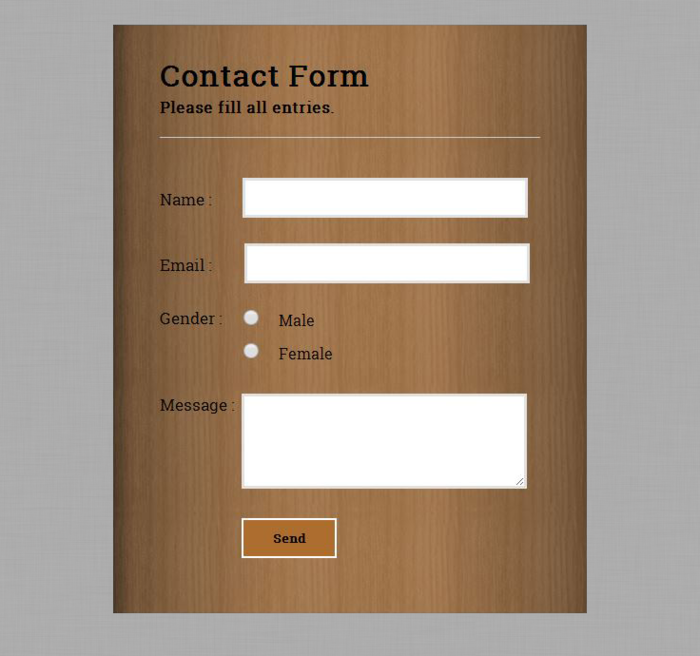 In this blog post we provide you 5 different form styles, created in HTML/CSS3. just follow our codes or download it to use in your form styles. 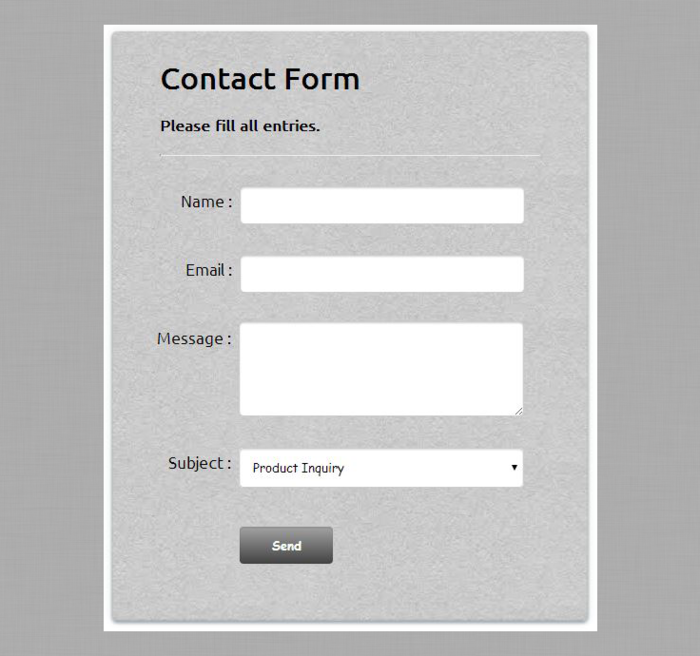 Form Style 1:- if you want to put icons in input fields of your form then following style is for you. 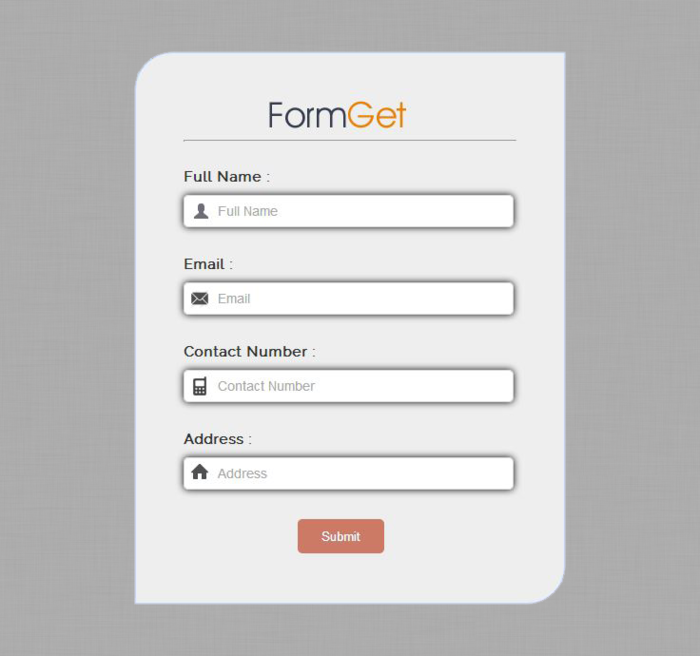 Form Style 2:- if you want to put some texture in background of your form then following style is for you. 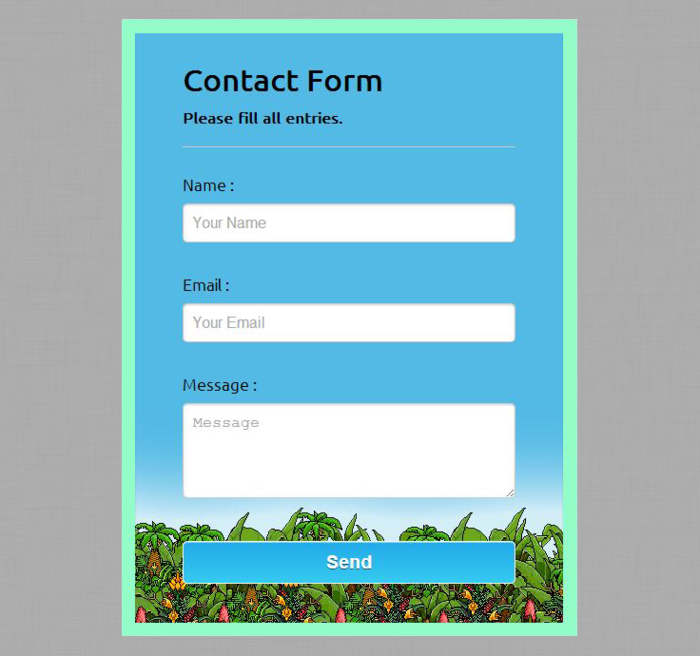 Form Style 3:- if you want to put some image in background of your form then following style is for you. 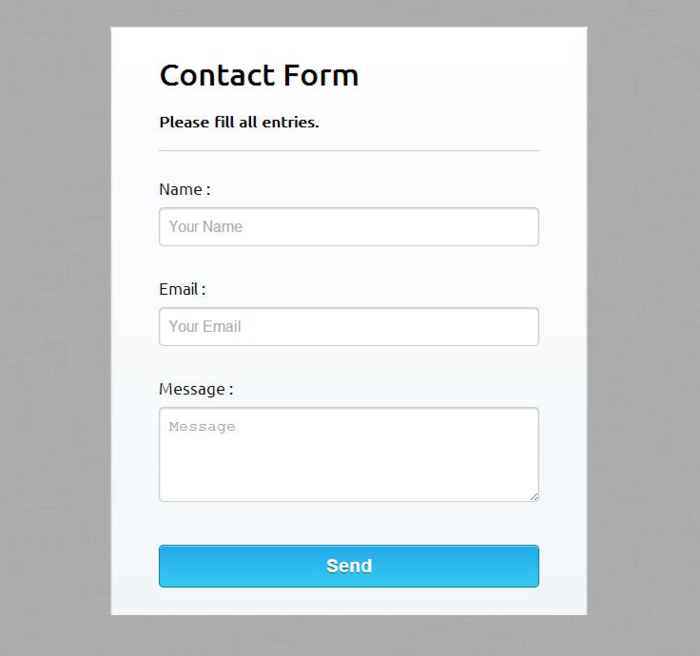 Form Style 4:- if you want to put some image in background of your form then following style is for you. Form Style 5:- if you want a normal form then following style is for you. Thanks for the information. I found the solution in your CSS for my problem. Good luck!